We provide a comprehensive swimming instruction and lifesaving skills programme to swimmers from age 4 upwards. We pride ourselves on our high rate of fully qualified Level 2 Swimming Instructors, all of whom are both experienced and knowledgeable with all aspects of aquatics . We implement our own Castle Park Learn to Swim programme, which has had input from all staff as well as Swim Ireland coaches in order to offer the best method of passing on essential skills to our swimmers. This programme sets national standards for the teaching of swimming and comprises 8 levels, all of which have been specifically developed to encourage swimmers to acquire the skills at their own individual pace. It follows a progressive syllabus with each child earning certificates as they move upwards through the levels. Parent feedback is also an essential part of our programme. The Academy generally operates with three terms each year running from September to July. Terms vary from 10 to 15 weeks, and are run in conjunction with school holidays where possible. Lessons run seven days a week from 5pm to 7pm mid-week (4.15pm on Friday), and from 8am to 1pm at weekends. The basics of swimming are introduced whilst babies become accustomed to the pool environment. 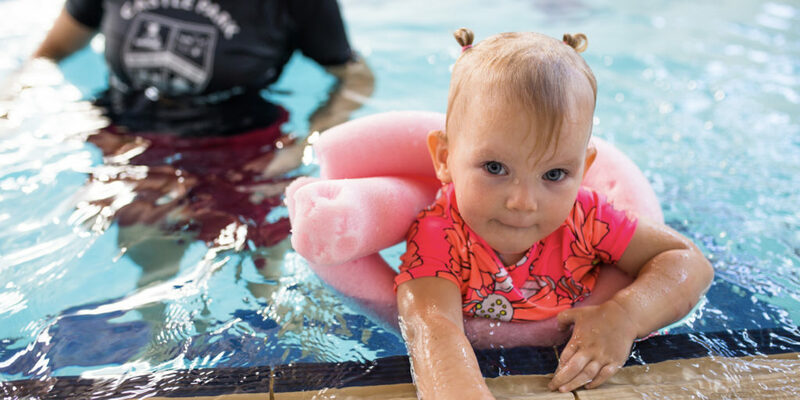 Our Parent & Toddler groups are for children aged 6 months to 2.5 years, and all classes require the accompaniment of a parent in the water. Classes run termly on Saturday and Sunday mornings, Thursday morning at 9:15 am and Wednesday at 10:45am. Aimed at toddlers and children between the ages of 2.5 and 4 years, the classes serve as an introduction to the core lessons which usually start from 4 years old. Basic principles are introduced such as kicking, submersion, arm action, floating and body position on front and back. They improve and build upon the child’s confidence in and around water and prepare them for a more structured class. Parents participate in the water for this class. The emphasis is on play and fun, as at this early stage it is very important that children are happy in water before they progress to our full lesson programme. Classes are available on both Saturday and Sunday mornings. Please note that booking early for this class is essential as it is one of our most popular classes, and will always book out well in advance. Our experienced and qualified instructors can cater for all levels of ability, from the nervous swimmer to advanced swimming. Our adult lessons run for a duration of 8-12 weeks, Tuesday evenings from 8:15pm – 9pm. Our private lessons are available for both adults & children, maximum of 2 children per lesson. Fully qualified & experienced level 2 instructors. Hugely beneficial for swimmers seeking to improve endurance, technique & overall competence in the water. Swim fit is an exciting new session aimed at those who do not want to swim competitively but who want to continue to build on their swimming fitness. Children aged 9+ who have completed Level 8 can progress into Swim Fit where they will work on aerobic endurance, use of the pace clock, distance challenges and diving/turning techniques. Sessions will run on a Tuesday evening from 6.30pm to 7.15pm. Our new Junior Lifeguard Programme will be run in partnership with Irish Water Safety. Children aged 8+ will navigate their way through 5 structured levels and will receive an award for each. Each level contains information and activity sheets, as well as the pool practical element. These must be completed before progressing to the next level. Once all five levels are completed, the instructor will sign off the final certificate and children will then become a junior lifeguard. This session will run on a Tuesday from 6.00pm to 7.15pm. Our Master Classes offer adult swimmers the chance to take part in a session run by one of our professional & experienced coaches. 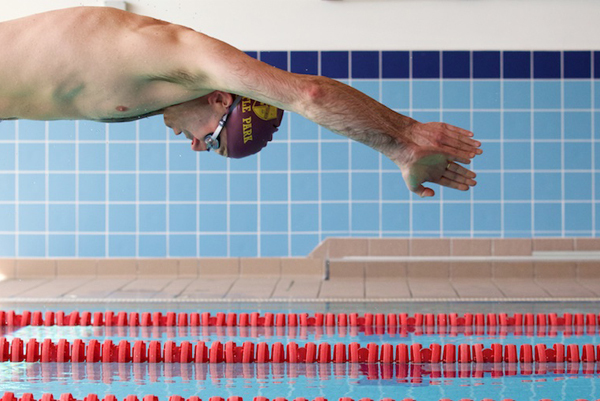 The coach provides a swim set for you which will help you increase your swimming fitness level. If you are looking to improve stamina, long-distance swimming techniques, or preparing for a triathlon this is the perfect coaching session for you. We cater for all levels of fitness. Classes run twice per week on Tuesday at 8:15 pm & Saturday at 4:45 pm. The class operates on a pay as you go basis costing €7 per class.